Stock markets registered strong gains on Wednesday, ahead of release of key macroeconomic data. BSE benchmark index Sensex advanced 304 points to close at 37,717, while the NSE Nifty settled 82 points higher at 11,369. That marked some recovery from the losses logged by the indices in the past two sessions amid a selloff across the board. Gains in FMCG, metal, pharma and infrastructure stocks led the rise in markets on Wednesday. Top gainers on the 50-scrip Nifty index included Sun Pharma, ITC, Hindalco, Adani Ports and Power Grid, closing around 3-3.5 per cent higher. FMCG stocks led the gains, with the Nifty FMCG - the NSE's sectoral index comprising consumer stocks - finishing the day 2.5 per cent higher. ITC, Hindustan Unilever, Marico, Dabur and Tata Global rose around 2-3 per cent. The government is due to release data on consumer inflation for the month of August and industrial production for July later in the day. Gains in the domestic markets came after two days of selloff, despite weakness in other Asian peers and fund outflows caused by institutional investors. The Sensex had lost 976 points and the Nifty 301 points in the past two days - marking a cumulative loss of around 2.5 per cent. Equities in other Asian markets slipped to 14-month lows as investor confidence was hurt by the latest round of threats in an intensifying US-China trade conflict. 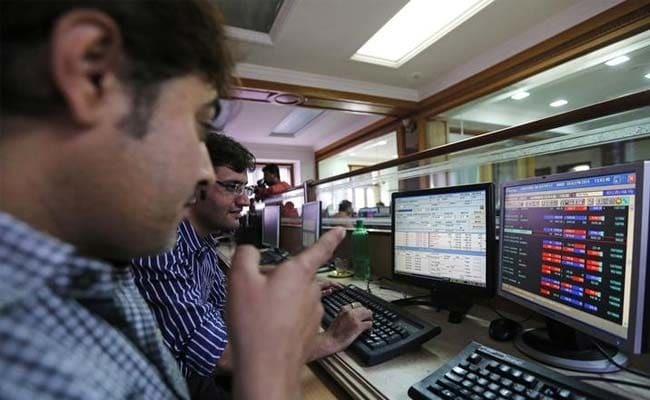 Net sale of equities by foreign institutional investors stood at Rs 1,454.36 crore on Tuesday, against net purchase of Rs 749.62 crore by domestic institutional investors, provisional data from the NSE showed.